In 2012 we added a Yamaha CP33 stage piano and Yamaha self powered speakers so that we could do concerts inside the Mill. Before this we had to borrow a piano from the Lighthouse church at the Mill or from Chapel on the Hill church. This was also the year that Julie introduced Friday night for pay concerts which were outstanding. We would house touring musicians in the Bunkhouse and they would provide a concert. You will also notice Nancy’s feed sack display hanging from the ceiling. 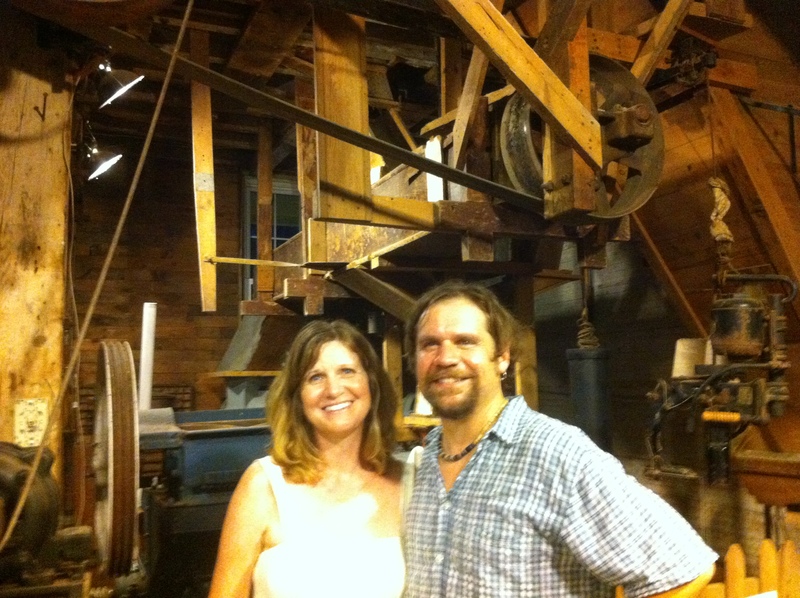 Everyone enjoyed the backdrop of the Mill machines.